If you own two SIM cards, you can change / select a specific one for the Internet data on the Samsung Galaxy quite fast! 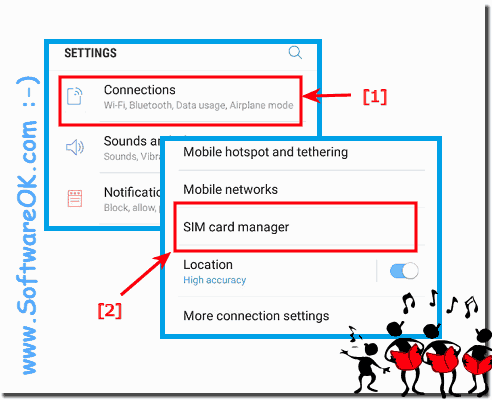 The solution is very simple and suitable for all new Android smartphones, data can be optionally switched from Sim-1 to Sim-2, which is partly the case with Dual Sim mobile phones, here explained step by step! 1.) ... Switch Mobile Data from Sim-1 to Sim-2 among all Dual-Sim Android Phones! 2.) ... What should be considered when switch mobile data? See also: ► Difference Smartphone off and restart! 1.) Switch Mobile Data from Sim-1 to Sim-2 among all Dual-Sim Android Phones! If you want to change the mobile data from Sim-1 to Sim-2 card, or want to change it. (Image-1) Select Sim Card on Samsung Galaxy for Mobile Internet! (Image-2) Dual Sim Card on Samsung Galaxy for Internet! 2.) What should be considered when switch mobile data? Some phones are not both full and can not receive LTE and 4G, which is not so bad, but good to know if you feel the internet is too slow on the phone. ►► Where is the difference between switching off and restarting your mobile / smartphone? 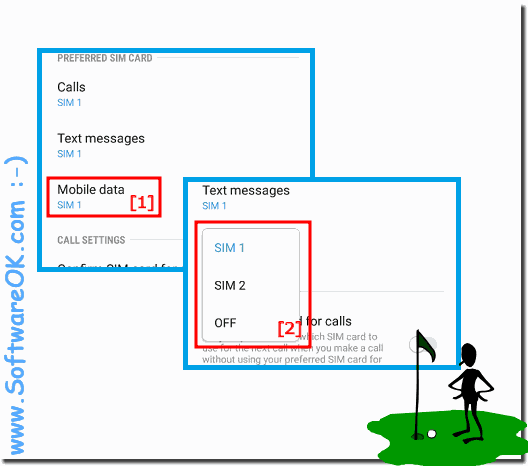 Samsung-Galaxy - FAQ-14: Select Sim Card on Samsung Galaxy for Mobile Internet!